Easter is the excuse for today’s bonus catblogging, but really, who needs an excuse? 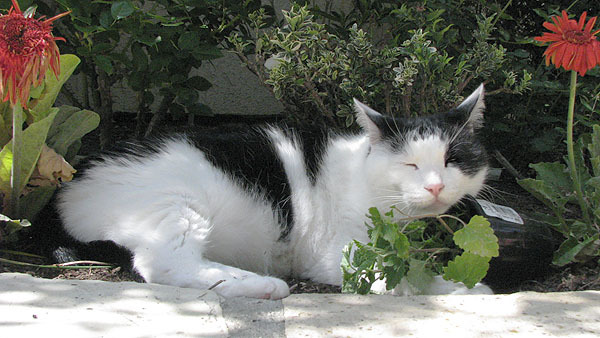 Yesterday Marian brought home a couple of new catnip plants, and as you can see, Inkblot got blissfully stoned out of his little feline gourd on one of them. Happy Easter, everyone!